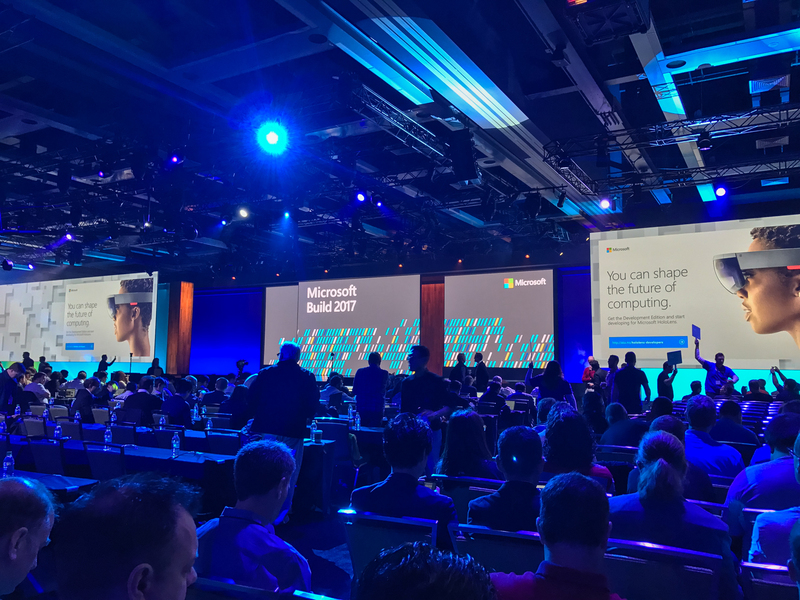 Another beautiful day in Seattle, and another amazing day at Build 2017! Today started off with another fantastic keynote followed by a wide array of awesome sessions. Here’s my recap of today’s events. 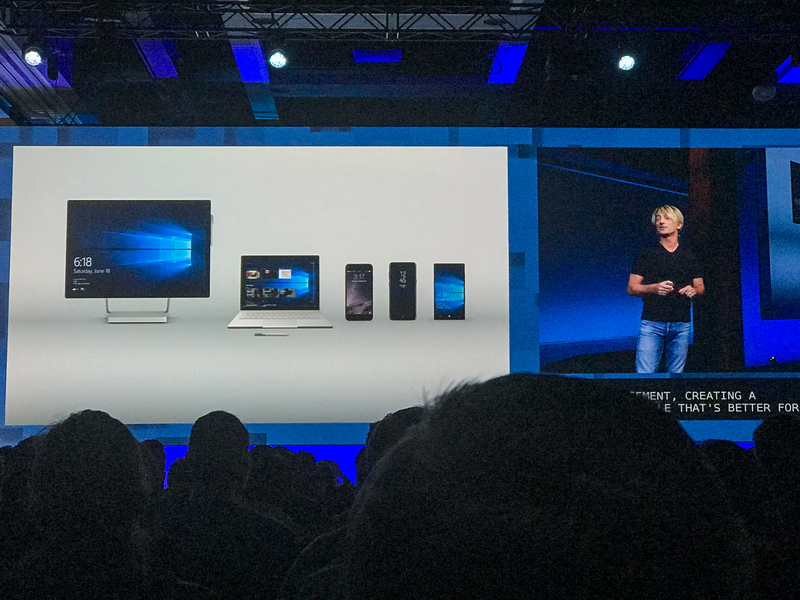 Today’s keynote was heavily focused at improvements and additions coming to Windows and the entire Windows ecosystem; lots of cool, exciting things coming soon! As with yesterday’s post, this is not an exhaustive list; to see all of the announcements check out the official Channel 9 Build Keynote. 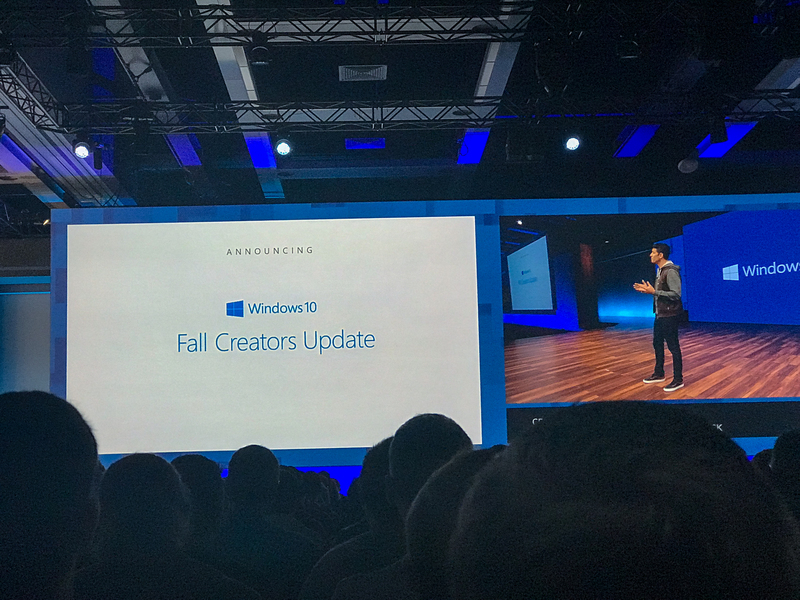 Most of the following features will be available in the Fall Creators Update coming later this year. If you’re an insider, you should be seeing a release sometime soon. This is Windows Movie Maker taken to an extreme! The ability to automagically (is it ok to steal an Apple word in a Microsoft post?) mix your photos and videos into a montage, apply appropriate music, and then doctor them up with special effects is mind-blowing. I can’t wait to try this out! 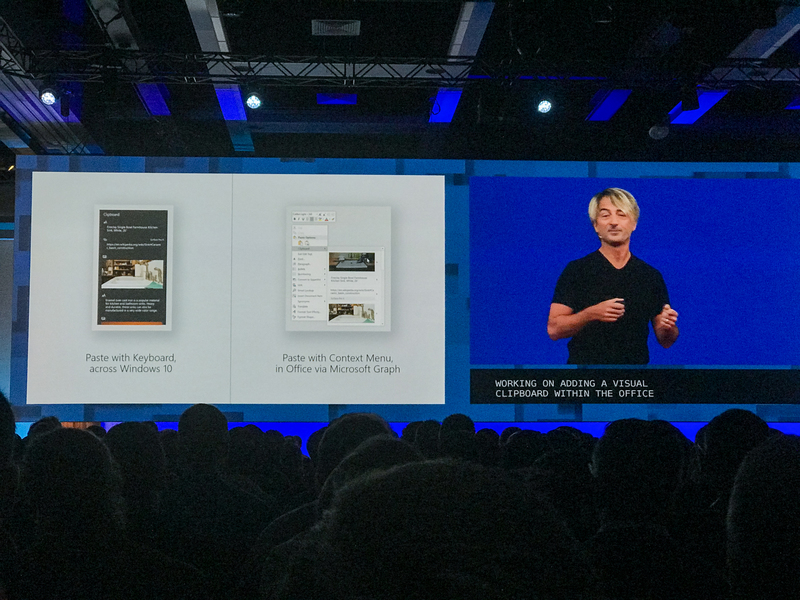 Microsoft continues to push their commitment on a cohesive, beautiful experience in their Windows applications. The material design demonstrated looks great, especially when the apps scale to different window and device sizes. This is of course not just limited to standard, “boring” desktop applications, but allows developers to create immersive experiences in their applications. Check out the official Microsoft Fluent Design System website for more details. This is what Dropbox was supposed to be. A simple, but very powerful, way to sync the files that you want from a device, to the cloud, and down to any other device you need the content on. 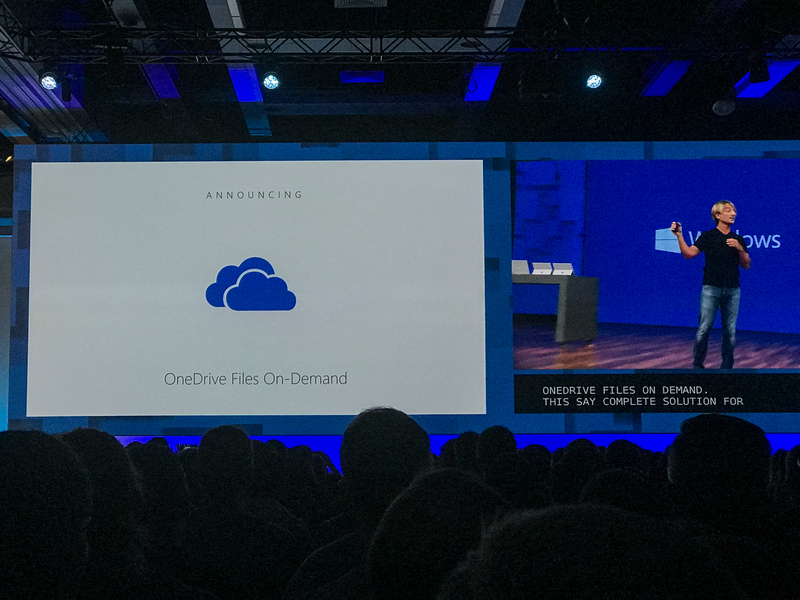 Not only that, but throw in some predictive logic and Windows and OneDrive will figure out which files should go to the cloud without you having to do a thing. Pick up where I left off. What a simple, but often difficult to get right, user experience. 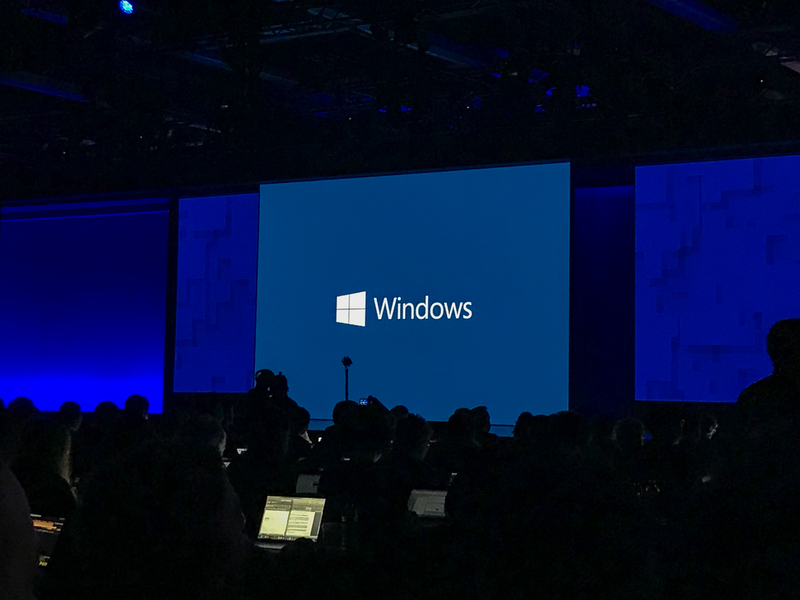 Windows attempts to make a seamless experience between your PC and other devices, noticing your workflow habits and helping you to resume your tasks from one device to another. You won’t be context switching when your context follows you around. As simple as this is, this is probably my favorite feature of the day. The number of times that I’ve emailed myself a document, picture, or even just a blurb of text so that I could use it on another device is insane. No longer will this be an issue, as the Cloud-Powered Clipboard will keep your snippets in sync across your device (yes, even iOS and Android!). Microsoft continues to set the bar high with not just their awesome Windows announcements, but that other platforms are supported in extending these features outside the bounds of your desktop. Good work Microsoft for being an inclusive ecosystem! Now, can we talk about getting Cloud-Powered Clipboard on MacOS… please? 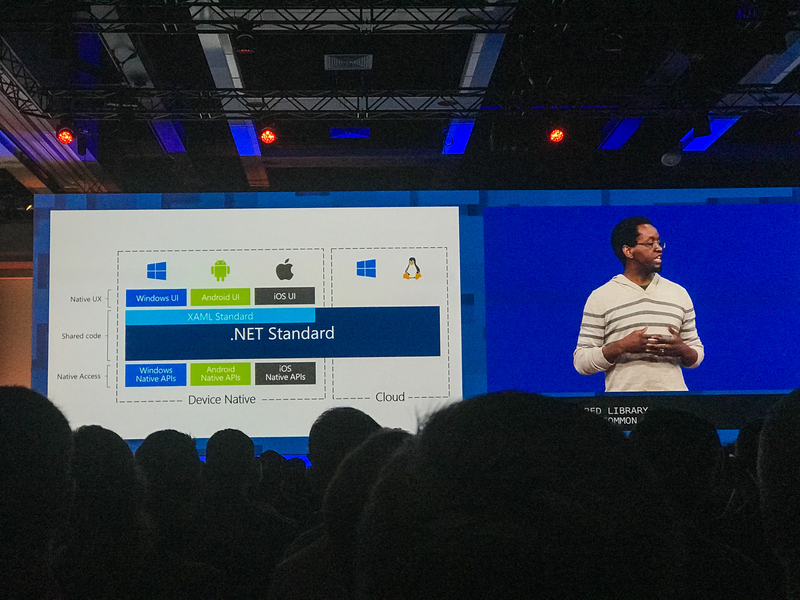 This continues the trend from yesterday’s keynote of making the .NET ecosystem more standard across all platforms. New to the standardization process is XAML Standard 1.0; if you’ve worked with XAML in the past you know that it can become a bit of a mess when you need to support different platforms (e.g. 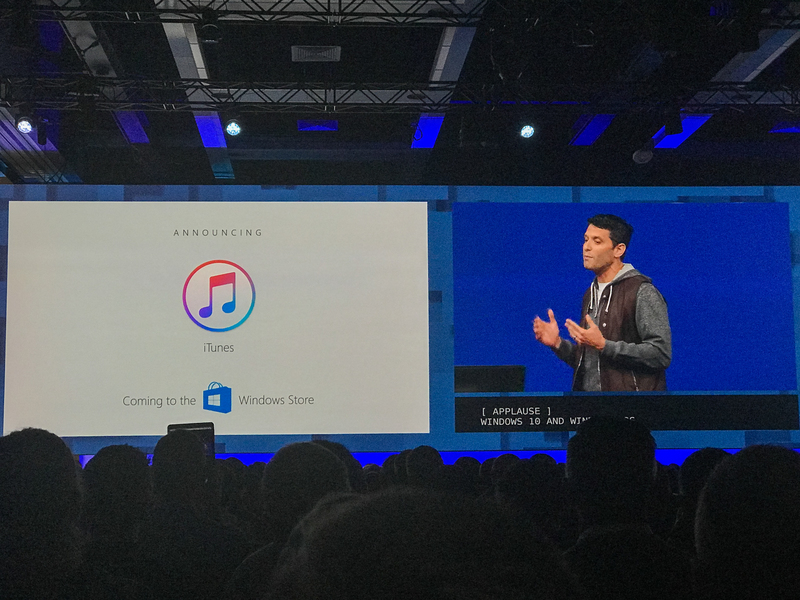 UWP and Xamarin); this stack will finally start to become unified. To me, this is a huge announcement. 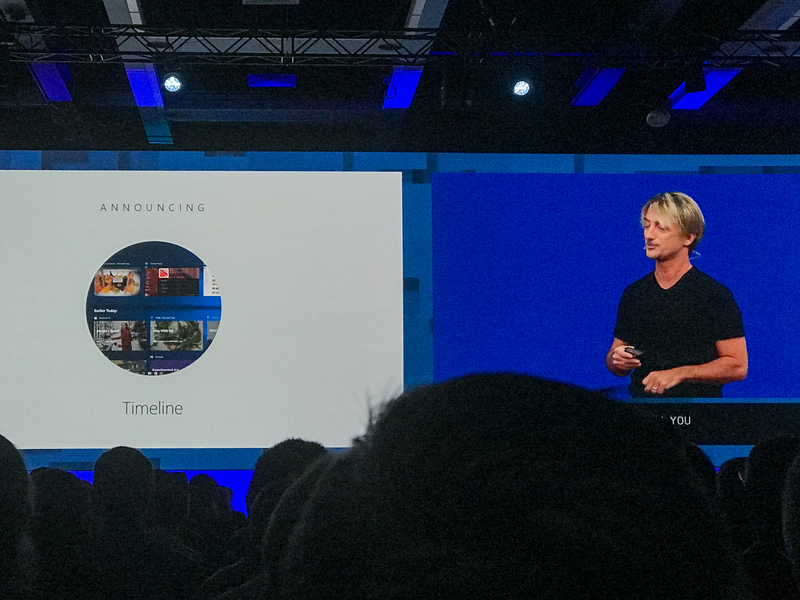 This is not just an effort from Microsoft, but a sign of collaboration between Microsoft and Apple. When we work as a team, we win as a team! 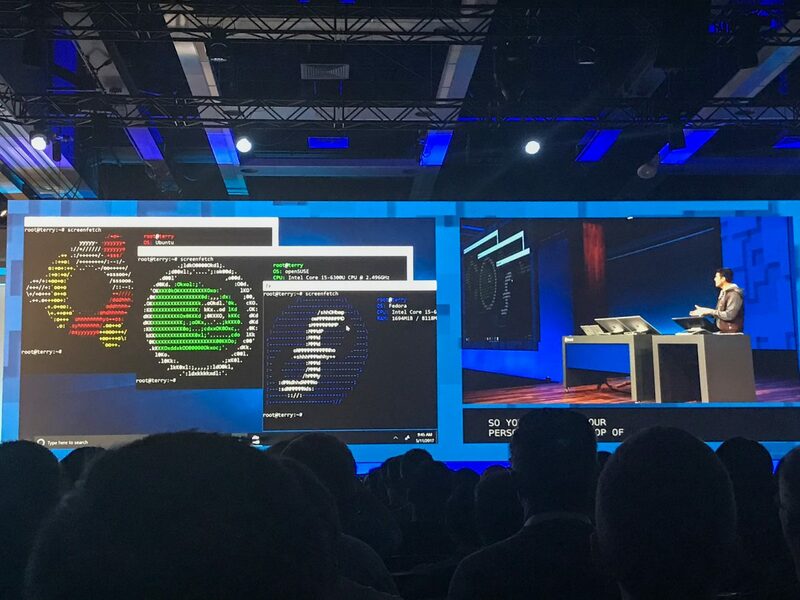 Expanding the Linuxy-goodness of Ubuntu on Windows, two new OS’s will be added in: Suse and Fedora Linux. It’s great to see the *nix platform being available across the other OS’s, as this opens up many possibilities for developers with the many command line tools, daemons, and other services available in the Linux ecosystem. While I’m not much of a native mobile app developer, this demo was great to see. It’s amazing how easy it is to build an iOS application in Visual Studio, use the Xamarin Live player on an iOS device, and debug in realtime. Updates could even be made to the application while it was running with the changes reflected nearly instantaneously! 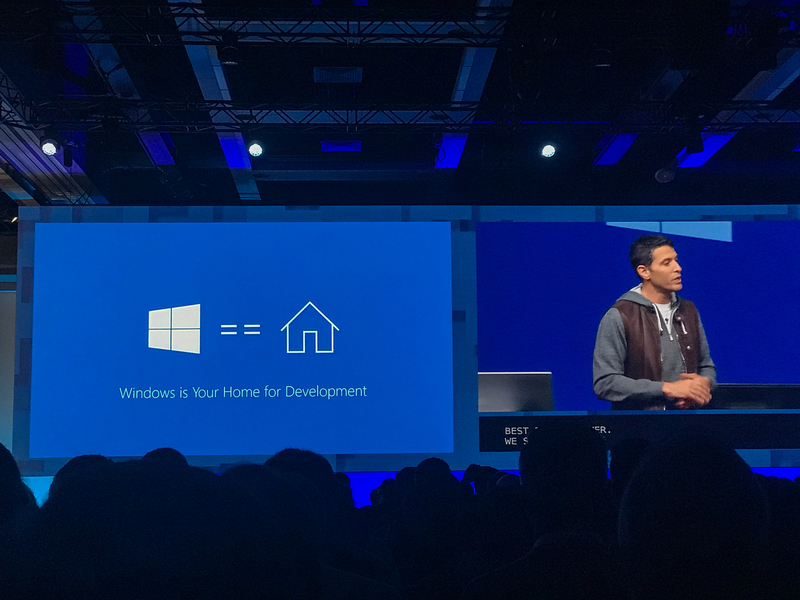 Microsoft truly continues to impress the developer community in its dedication to the ultimate dev experience. Whether you’re targeting Windows with a UWP application, developing web or mobile applications, or even want to go cross platform, Microsoft, Windows, and Visual Studio are there to help you get the job done. The technology in this space is incredible. HoloLens has progressed since it was first introduced and VR headsets have dropped into consumer friendly price ranges. 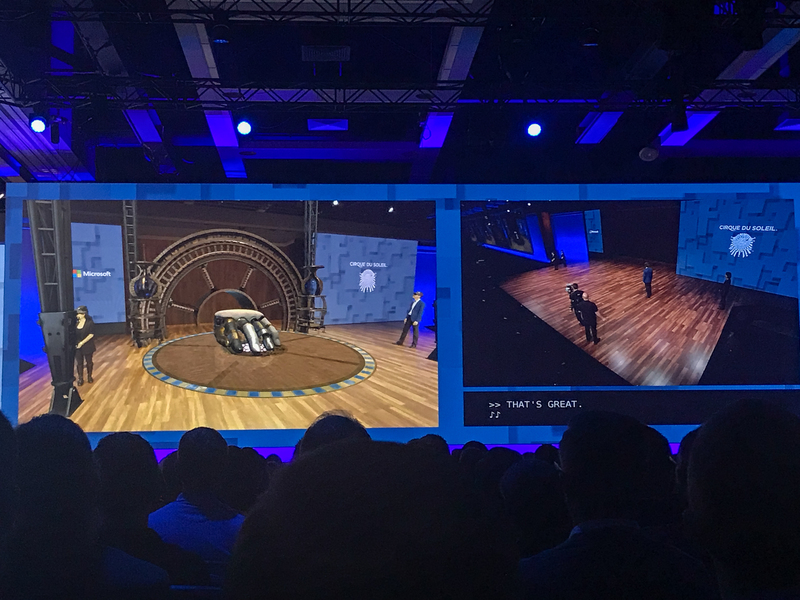 To show off some of the amazing work being done in the mixed reality space, mixed reality being a combination of VR (virtual reality), AR (augmented reality), and real world interactions, Cirque du Soleil came on stage to show how they use HoloLens to develop and coordinate their set designs. A very impressive demonstration! The wealth of knowledge continues with another set of sessions to extend on the topics presented over the last two keynotes. 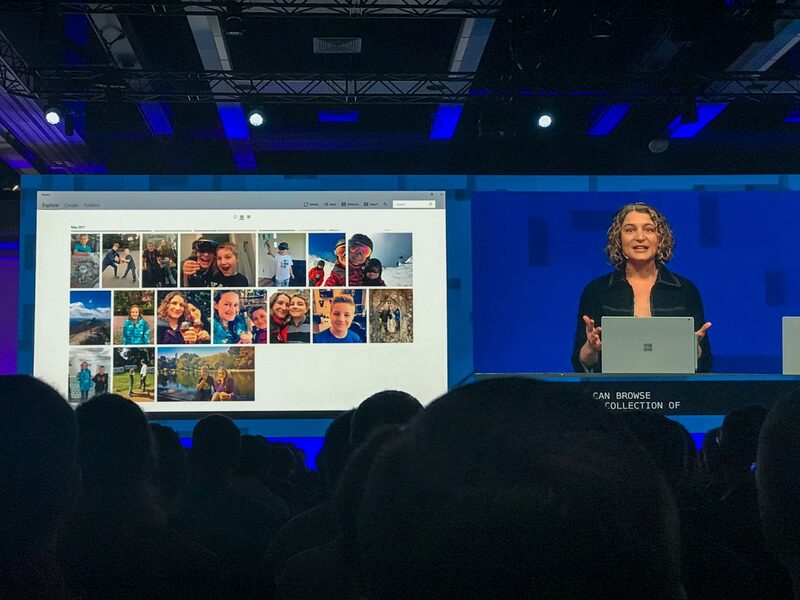 Microsoft continues to make improvements to its Azure Resource Manager and the templates that can be used to create and manage Azure resources. Many new announcements on the templates were introduced in this session, such as new processing functions, the ability to have conditional logic within templates, as well as deploying to multiple resource groups. Code from the demos are all available on GitHub. 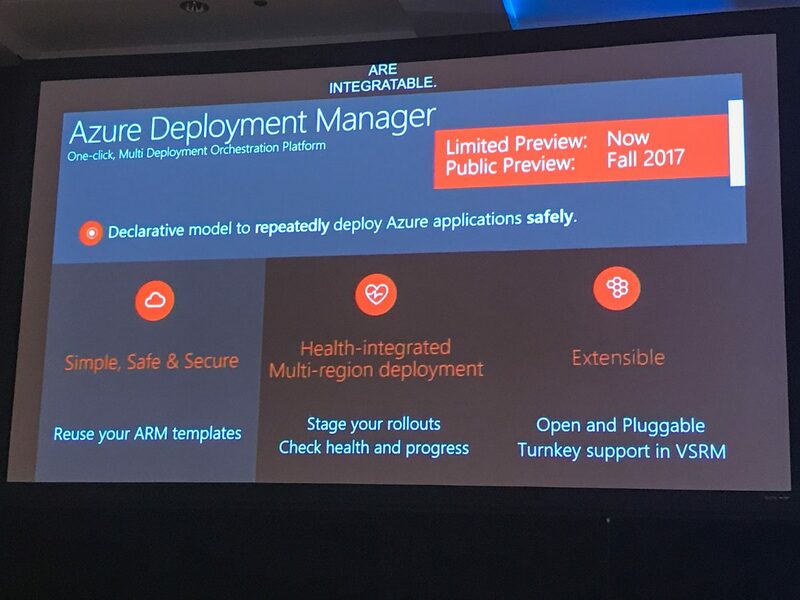 In addition to showing new ARM features, a new service was announced: Azure Deployment Manager (ADM). 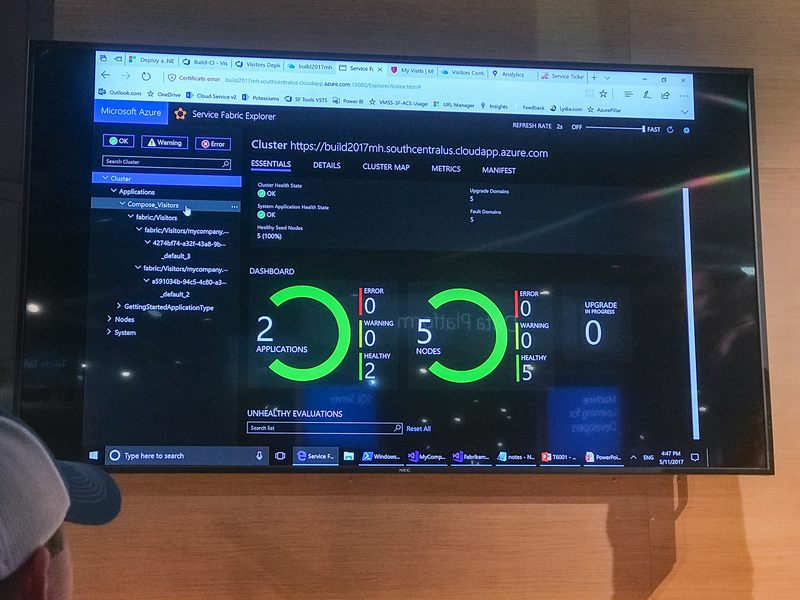 ADM is a service that will help orchestrate your deployments to Azure resources; this will help streamline the entire cloud stack from the platforms that you use to the code you deploy. It is currently in limited preview. 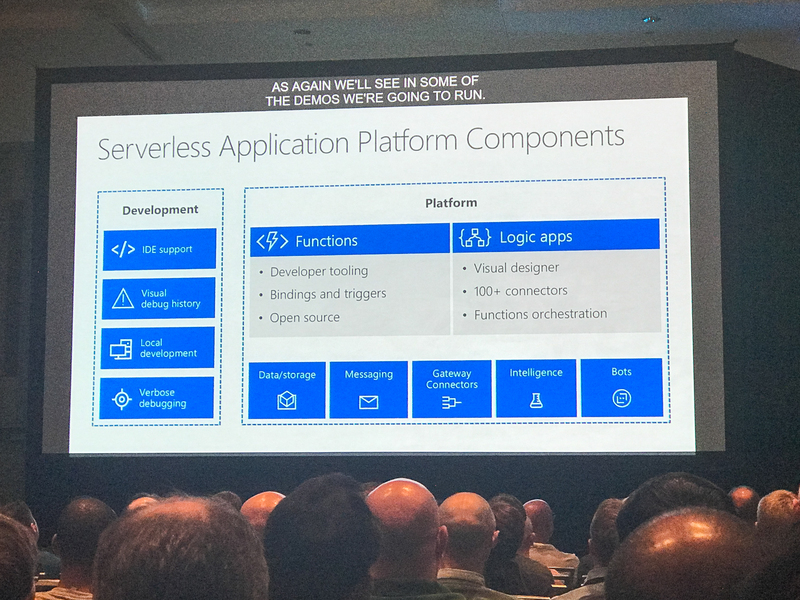 As mentioned in the day one keynote, Azure Functions and other serverless services have made great strides in ease-of-access, use, and deployment. In this session, it was demonstrated how to wire up a complete workflow of serverless Functions and Logic Apps to provide a scaleable, affordable web application infrastructure. It’s exciting to see how easy it is to setup the serverless workflows, being able to serve static content from blob storage to processing advanced workflows with Logic Apps. 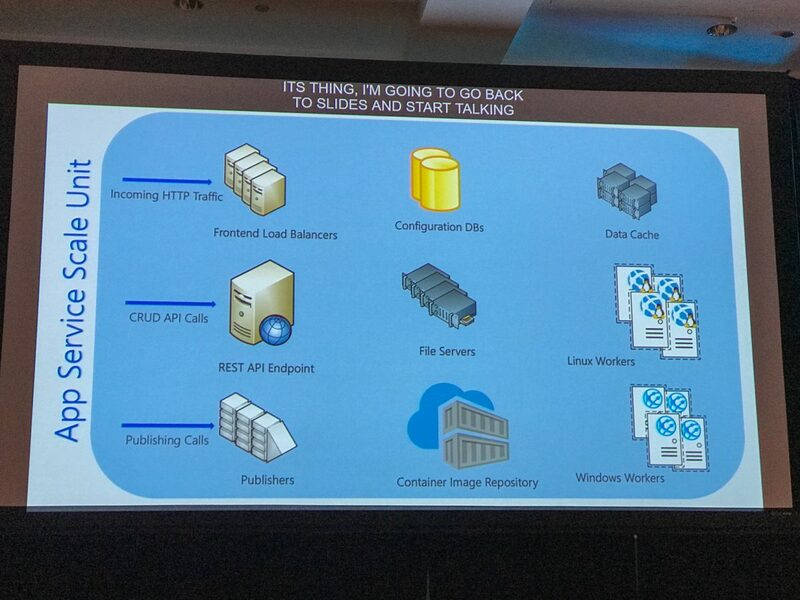 I’m totally geeked on containers, and so is the Azure App Service team! It’s interesting to see how they’re implementing Linux support in App Services by using containers under the hood and what options that brings to the end user. For example, it would have been nearly impossible to run a Ruby on Rails application using the standard App Service model, but with bring-your-own-container you’re able to roll your own application environment. And while they do offer a handful of “blessed images”, the major push is that you would BYOC to get the perfect environment for your application. 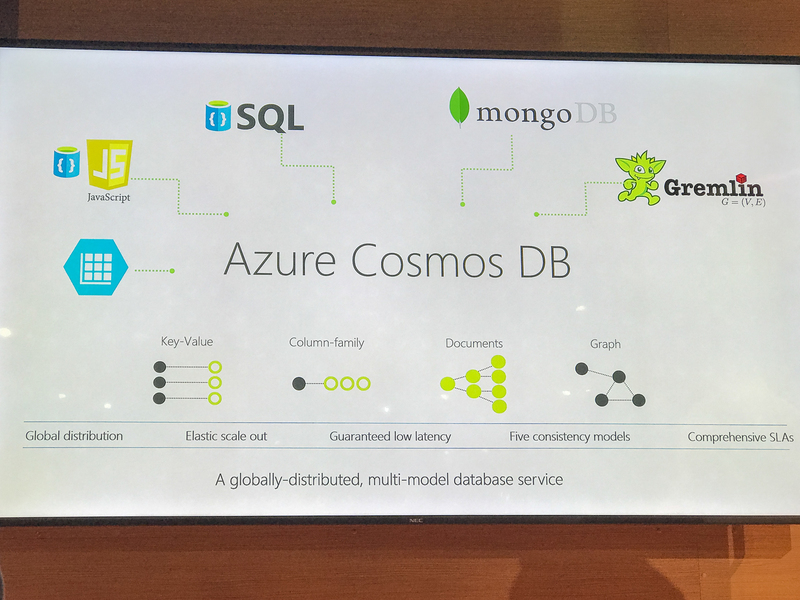 In this Tech Talk, we were able to see some of the massive improvements that Microsoft has made to not only the DocumentDB APIs, but the actual infrastructure that has been put in place to support the high availability, throughput, and consistency in Cosmos DB. I’m excited to dig into this new service and experiment with the scalability and power that it offers. Containers aren’t just for your new apps, but a great way to wrap your old ones as well. This session focused on taking an existing ASP.NET 4 application, wrapping it in a container, and deploying it out to Service Fabric using the Windows Server Core and SQL Server Developer images to run and scale the application. 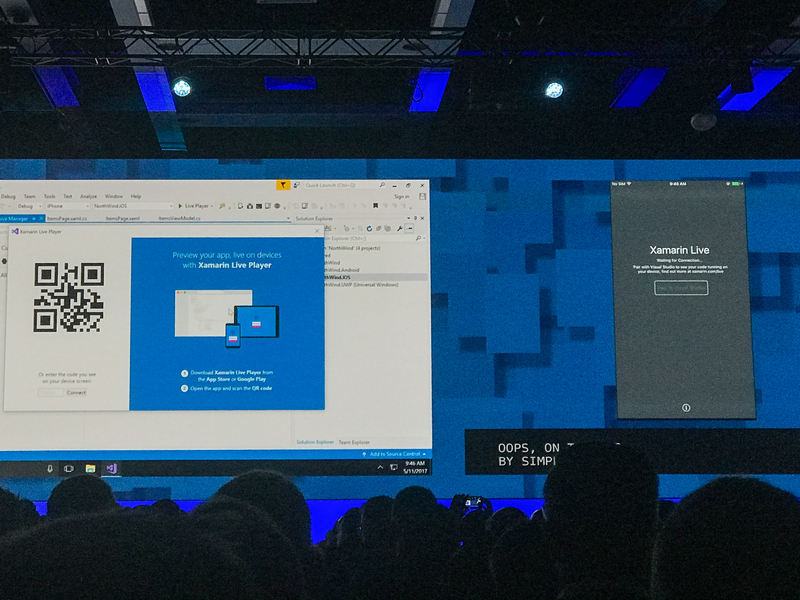 It was impressive to see how easy it was to wrap the old application in Visual Studio, as well as how simple it was to scale it out in Service Fabric. This has a lot of potential for migrating applications that might not have been initially designed to be cloud-friendly (i.e. PaaS-capable) that you want to get off a traditional server infrastructure and into the cloud. 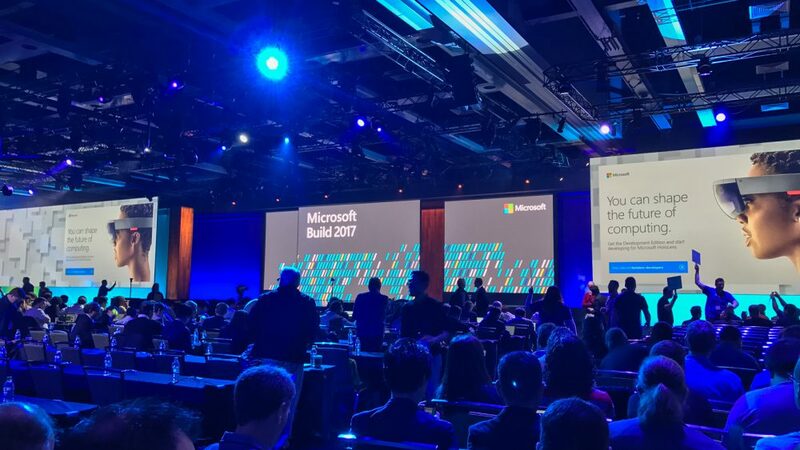 Yet another amazing day at the Build 2017 conference. I’m excited to put all the information I’m learning to use in both my own and client applications. 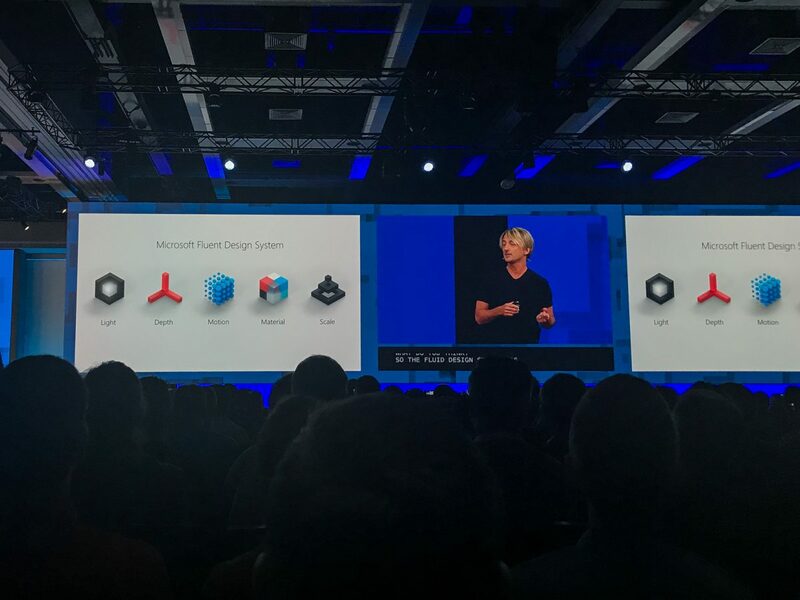 Microsoft is outdoing themselves in their technology stacks and are definitely leading the way in cloud, desktop, and cross-platform development. I’m looking forward to finishing the week with Day 3!